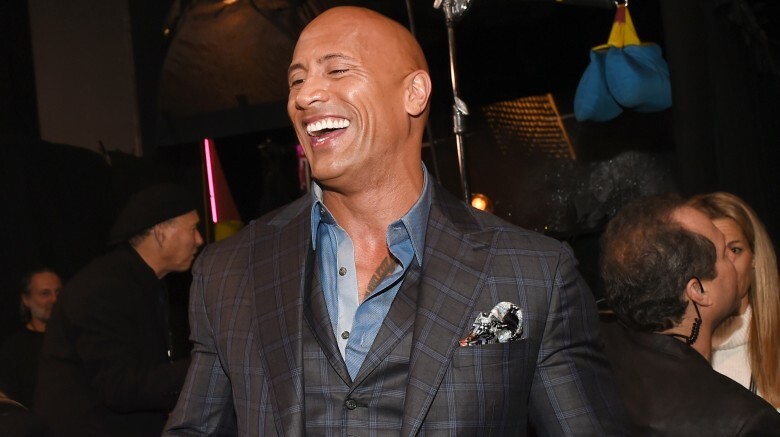 New Line Cinemas and DC will split the upcoming Shazam into two films, giving Dwayne "The Rock" Johnson's villain Black Adam his own movie, according to Deadline and The Hollywood Reporter. The Rock officially announced via Twitter in 2014 that he was set to play Black Adam, a warrior who wants to conquer the world with magic, after years of rumors. The character was originally meant to appear in DC's Shazam film, which is set to be released on April 5, 2019 but has yet to find a star or director. New Line will now concurrently develop a movie based on Black Adam, apparently due to Johnson's increasing star power. According to The Hollywood Reporter, the news stems from a meeting held last week between Johnson and DC Comics president and COO Geoff Johns. After the meeting Johnson teased on his Instagram that "even when talking about the most ruthless villain/anti-hero of all time finally coming to life," the future of the DC universe would focus on "hope, optimism & FUN." THR reports that the film will show Black Adam as an anti-hero, similar to recent developments in Johns' comics, which feature the character facing off against enemies who tried to enslave his people. According to THR writer Borys Kit, Black Adam will likely not be the villain in the first Shazam movie, although he could be in a later film. While it hasn't been officially announced, rumors started to spread of Black Adam possibly making a cameo appearance in an earlier DC film after Henry Cavill posted a picture of himself with the Rock on his Instagram page, writing "Merry Christmas and Happy New Year from Superman and Black Adam," and adding, "We're excited for what the future brings..#DangerousGentleman #DCWorldsWillCollide." Kit notes that its possible that Black Adam could make a cameo in the upcoming Aquaman movie. The studio has yet to confirm when or where Black Adam will first appear, and no release date, writer or director is set for the Black Adam film. While we figure out where the Rock will fit in the DC universe, here are some characters who he could play for Marvel.